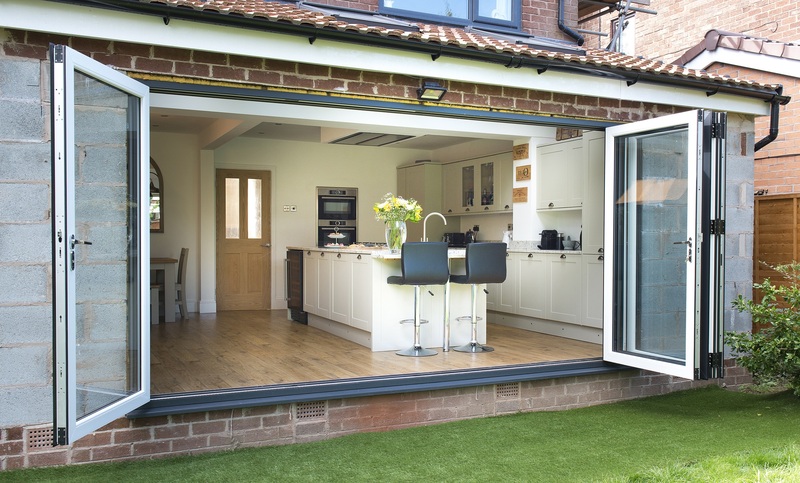 No-one does Bi-fold doors better than we do. 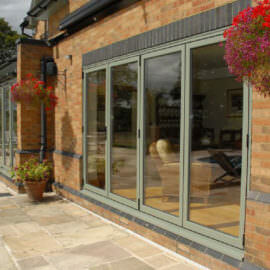 That’s because our bi-fold door has been designed based on 50+ years of experience of the home improvement industry. 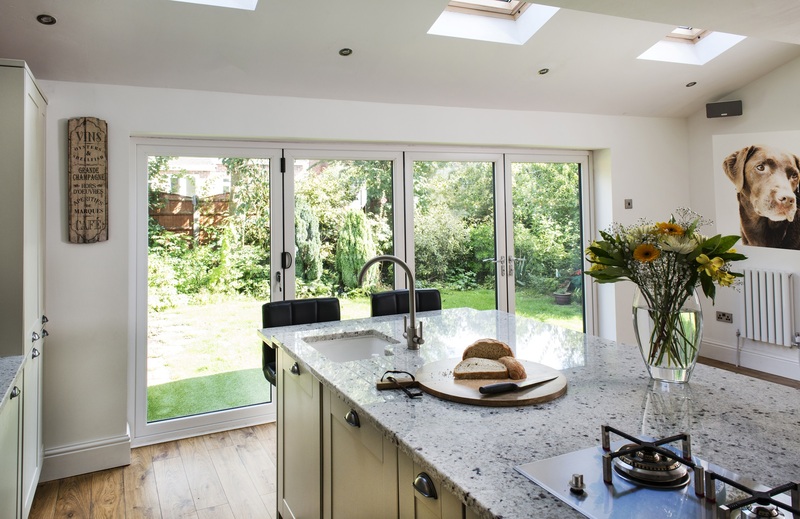 As a result, our bi-fold door is an elegant creator of both space and potential. It seamlessly transforms any living space: by using natural light to illuminate your home, our bi-folds bring the outside in, resulting in virtually no barriers between the inside and the outside of your home. 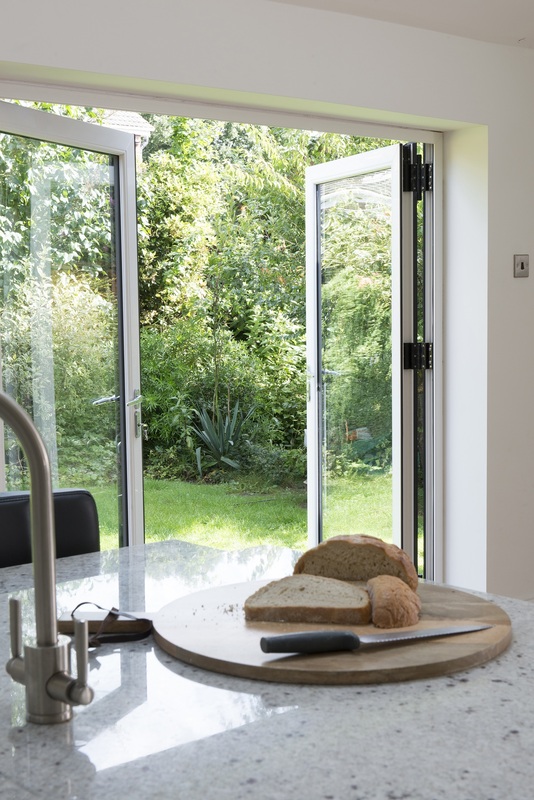 Available in a range of colours, our expertly-crafted aluminium bi-folding door – complete with its slim sight lines – will keep you warm when it’s chilly and cool when it’s hot. 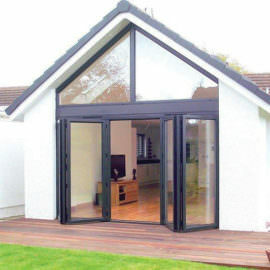 Virtually maintenance free, our PVC doors are manufactured to the rigorous standards you’ll have come to expect from The Home Design Group. In addition, our Bi-fold doors are internally beaded to prevent glass units being removed from the exterior of the property. 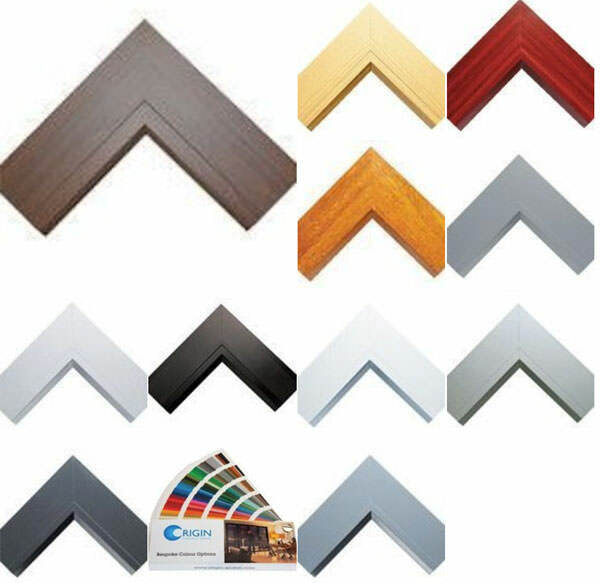 We use only the highest quality furniture on our frames, including deep-throw 25mm security hooks, Magnum security cylinders, and solid cast Yale security handles, which come in a range of colour and style options. 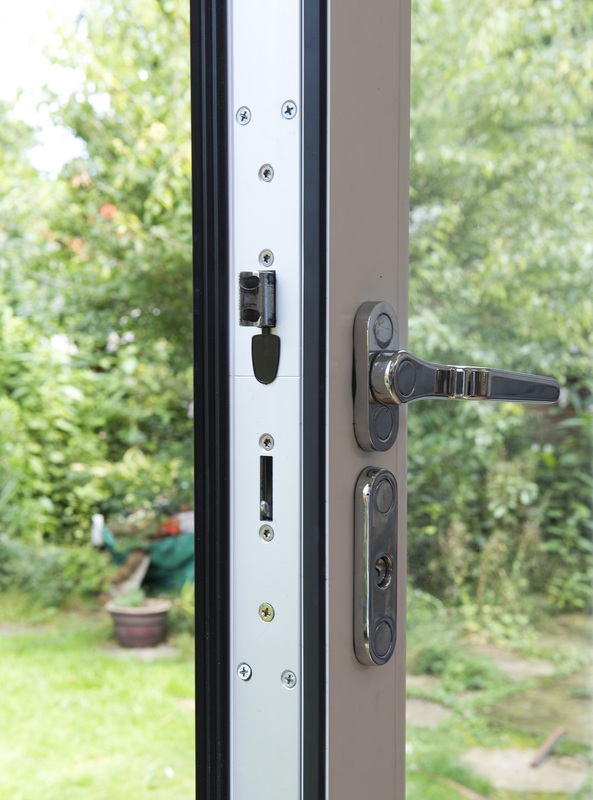 What’s more, we’re so confident about the quality of the products we use that we even provide you with a 20 year guarantee on all hardware. 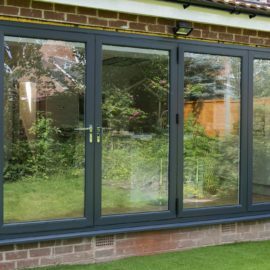 As a result, you have complete peace of mind to know that your bi-fold door will continue to perform as brilliantly in the years ahead, as it does right now. 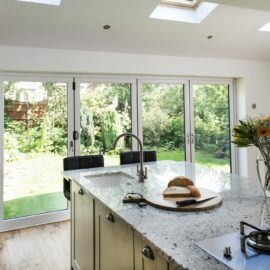 Moreover, all The Home Design Group bi-folding doors come with a 20 year guarantee, so you can rest assured that your doors will continue to look just as good in years to come with nothing more than a quick clean with a damp cloth. 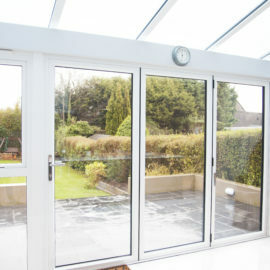 At The Home Design Group we use only high performance A Rated 28mm glazing with Planitherm glass and warm edge glass unit spacer bars, or our premium triple glazing in our in-line sliding patio doors to ensure optimum energy efficiency. 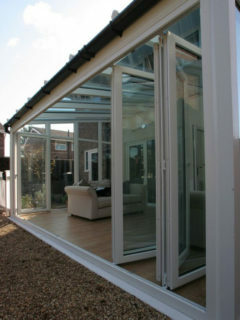 Manufactured to the highest standards from aluminium making them lightweight and maintenance-free, the The Home Design Group bi-fold has a unique free-glide running system to ensure that opening and closing the doors is a breeze. Manufactured to rigorous quality control procedures, The Home Design Group use only optimum efficiency 28mm double glazing units with Planitherm Total + glass,warm edge spacer bars and argon filled cavities.